The 2017 Hungarian Grand Prix takes place next week in Szombathely, Hungary and unlike the past two Senior events, the US roster is on the lighter side this time around. Several athletes have been forced to return back home to the States due to injuries and also, the original plan going into Hungary featured a lower number of athletes anyway, though a few have chosen to stick around for the training camp just the same. Two 2016 US National Team members will be in action — Geordan Speiller (75 kg, Florida Jets, world no. 19) and 2016 US Olympic Team Trials champ Joe Rau (98 kg, Minnesota Storm), who is returning after a nearly 11-month layoff. 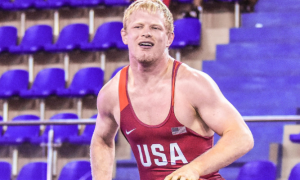 Speiller’s first time back in competition since winning last June’s World Team Trials came at the Dave Schultz Memorial International in January. Up a weight at 80 kilograms, Speiller defeated two consecutive foreign opponents, including Egyptian Olympian Mahmoud Sebie to claim gold. 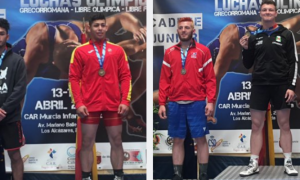 The Floridian then followed that up with another gold medal performance at the Granma Cup in Havana, Cuba two weeks later. A serious contender to make his first Senior World Team in April along with surging prospect Kamal Bey (Sunkist, world no. 18), Speiller has had success at this event before, finishing with a bronze in Hungary last year. Rau, 26, is seeing his first competition since last spring’s 1st and 2nd World Olympic qualifiers. The Chicago native required surgery on his knee following the 2016 Olympic training cycle and had been locked in on an expansive rehabilitation process. It was a priority of Rau’s to get some matches in ahead of next month’s Trials and like Speiller, it is at an event he likes. Rau earned a bronze in Hungary in 2015. American fans can also look forward to watching a trio of Marines get in on the fun. 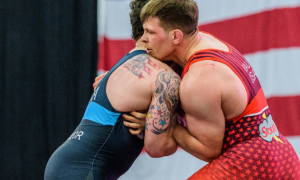 Raymond Bunker is checking in at 66 kilos in effort to gain some more experience at the international level as he continues to progress in one of the US’ most competitive weight classes. Then there is John Stefanowicz (75 kg). Stefanowicz is someone to pay close attention to. He is constantly improving and his technical acumen is beginning to catch up with his physicality. An event like the Hungarian Grand Prix might be just the thing to help him turn the corner. 2017 Paris International bronze medalist Daniel Miller (98 kg) is also going to be competing. Miller is a skilled wrestler who has a knack for performing well against foreign opposition and he might very well find himself in contention next week. 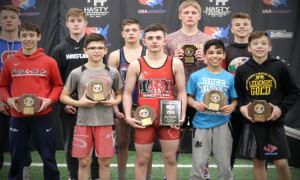 Finally, two of the Minnesota Storm’s most promising up-and-coming Seniors are appearing, as well — Barrett Stanghill (80 kg) and Malcolm Allen (130 kg). Stanghill, who enjoyed degrees of success at the age-group level while at Northern Michigan, has really upped his game since joining the Storm full-time. He is strong, athletic, and possesses good instincts. 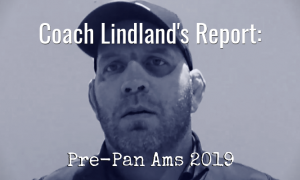 Stanghill has also scored some notable wins of late, including one over US National Champion Cheney Haight (NYAC) back in November at the Non-Olympic Weight World Team Trials. Allen is a power-plug of a heavyweight. 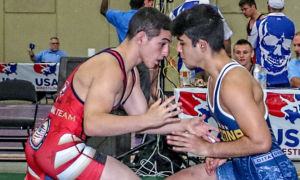 He is compact and explosive, and offers a lot of exciting potential as he becomes more and more familiar with the Senior level of Greco-Roman wrestling. Allen performed well at the US Nationals in December but it was at the Schultz where he really came to life, defeating two international opponents to take the title. 130 kg at the Hungarian Grand Prix is bound to offer Allen a test or two, for sure. But he has been in Hungary training leading up and the experience overall should do wonders for his capabilities going forward. As of now, live stream availability is unknown. If there is one, we will update here and on our social media channels. 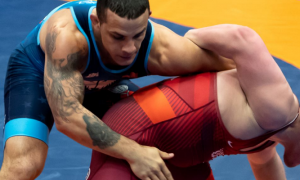 Patrick Martinez (80 kg, NYAC) and Kevin Radford (85 kg, Sunkist) were both originally slated for this event but had to pull out due to injury.